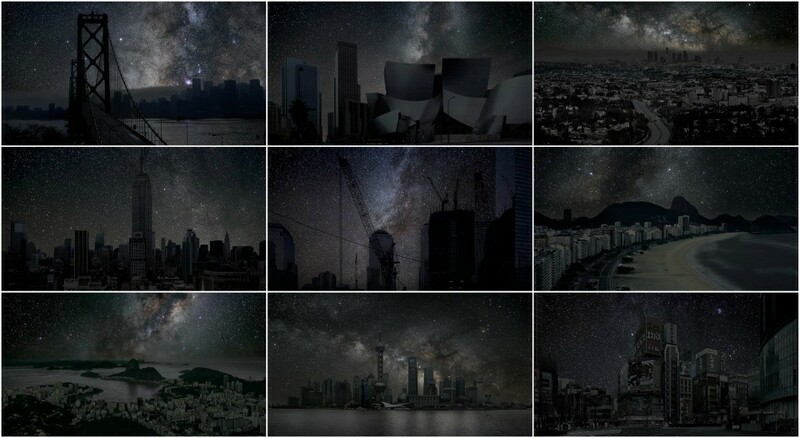 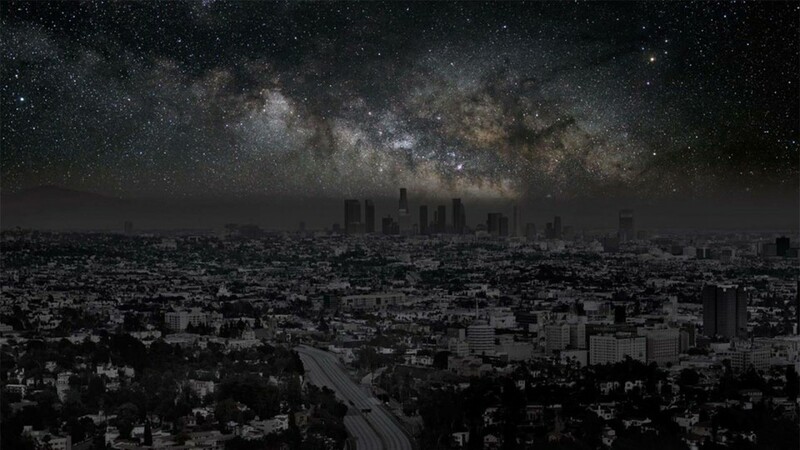 Massive power outages give us rare glimpses of darkened cities, but in normal conditions, there is simply no way to see the starry skies above the typical urban metropolis – but one photographer has found a way to simulate them. 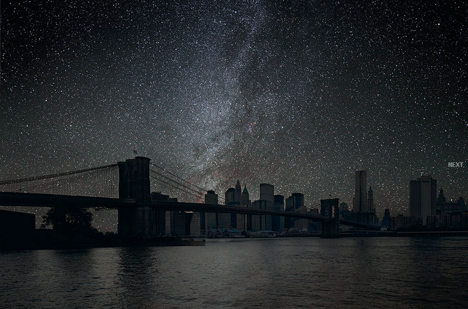 Thierry Cohen uses a multi-step process to create stunning visualizations (dubbed Darkened Cities) of would-be, could-be sights from New York to London, Shanghai to Sao Paulo … ones that the ordinary eye will rarely or never see naturally. 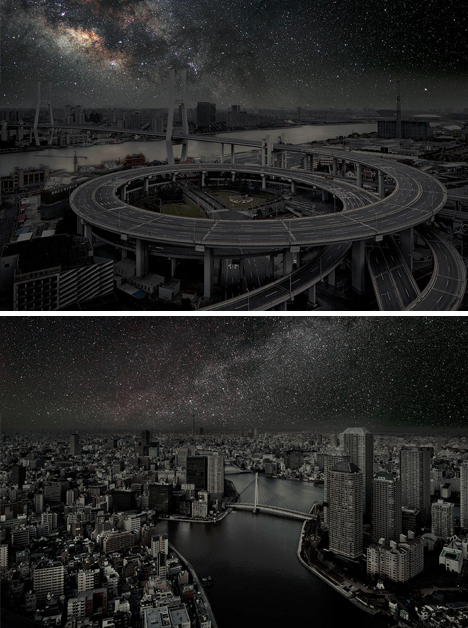 Cohen takes a series of shots of each of the cities themselves, and carefully removes illumination from the equation. 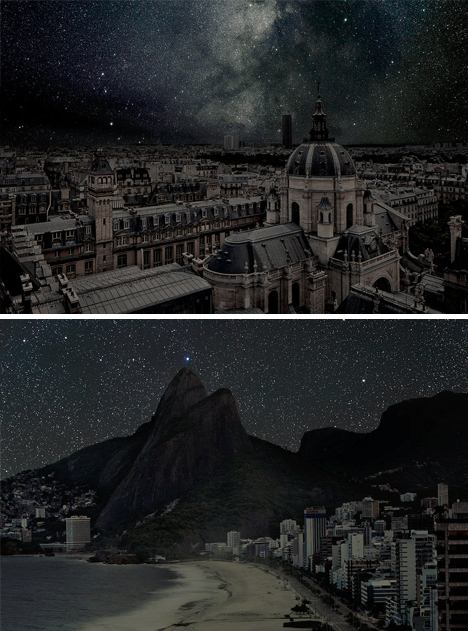 Night sky photos from the same latitudes (adjusted for time and angle) are then layered into the background, creating a seamless illusion. 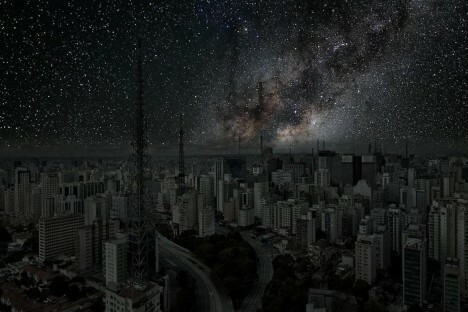 The results are at once mesmerizing, revealing the unseen potential for views of space right where we live, but also somewhat depressing – these are scenes that no one can actually ever see outside of deserts, at least unless disaster strikes.